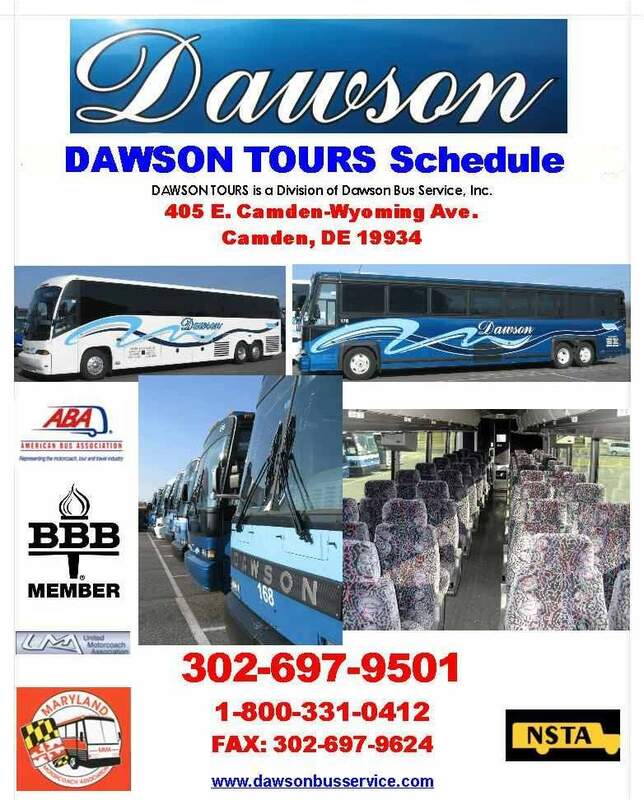 DAY TRIPS - DAWSON BUS SERVICE, INC.
DAWSON TOURS has a large selection of DAY TRIPS which have been scheduled for this year - A brochure (schedule) is available for download HERE. New Castle - IHOP (International House of Pancakes) Rt. 13 - Back parking lot facing Home Depot.